It is an age of philosophers and warriors – of Socratic wisdom and sacred groves. A land fit for heroes…. And with luck, it may survive past lunchtime! 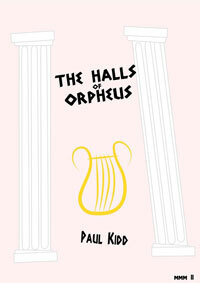 When a lofty Greek sophist is captured in battle by an Amazon maiden, his life takes a turn for the worse. In a quest to make the maiden wise, the unlikely adventurers cleave a path of annoying mayhem through the world of Classical Greece. But suddenly, the quest is no laughing matter. A long-buried secret has been discovered. The key to godlike perfection is hidden in the lost works of Pythagoras.